I am excited to feature Prepare your Family for Survival: How to be Ready for any Emergency or Disaster Situation, a book by Linda Loosli, founder of Food Storage Moms (foodstoragemoms.com). The first thing I noticed when I received the book is the overall production quality. It is a nice looking book with glossy pages and full color illustrations. I also like the highlighted “STORE THIS ADVICE” banners that give you handy tips to remember. Prepare your Family for Survival is divided into two main sections: Part I is When the Lights Go Out: How to Prepare for Power Outages, Water Shortages and Food Scarcity and Part II Covers When You Need to Bug Out: How to Prepare for an Evacuation. Part 1 includes a chapter on Water, Food, Emergency Cooking, Surviving when the lights go out, First Aid, Hygiene, Laundry and Community. Part II covers your 72 Hour Kit, Essential Documents and Evacuation Plan. The book is well organized and easy to read. There is no doom and gloom here, just practical, no nonsense advice from someone who has practiced preparedness for years and is happy to share her knowledge with others. 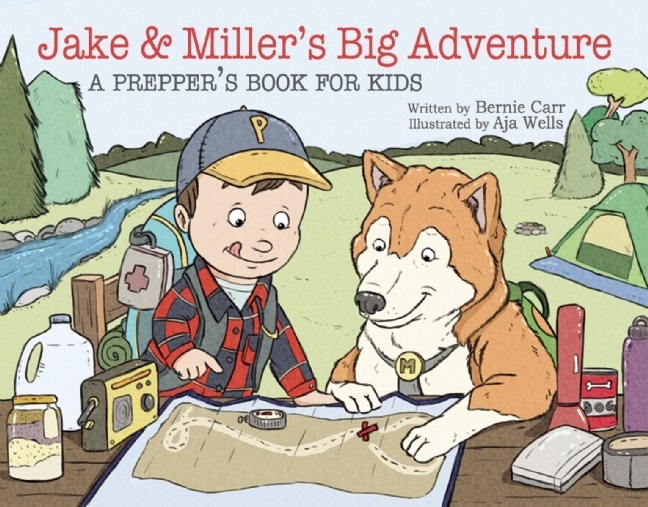 A beginner would greatly benefit by following the advice given, but a seasoned prepper would also find aspects to improve upon. 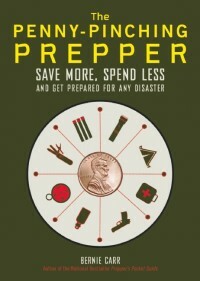 I have read may books on emergency preparedness and I can say this is one of my favorites. I found many tips, recipes and projects that I can use myself. I think you will too. 1. In your opinion, what is the greatest potential threat or disaster people should prepare for? Based on recent events here and abroad it seems the most universal concern deals with the availability of quality water. Long term droughts in the western US and the media circus that has been focusing on Flint, MI reminds us how vulnerable we are when our water supply is tainted or interrupted. We can get by if we lose power, even in the colder seasons, but take away the water source due to earthquake, hurricane, tornado, etc., we are all in a mess. You not only need the water to survive, but it is a necessity to cook and clean. It seems ironical, but even floods affecting the eastern and southern states right now make having clean / reliable water very challenging. 2. What is the best way for the beginner to get started? I’ve suggested for years that people shouldn’t feel intimidated by the terms “food storage” or “emergency preparedness”. Even with young couples starting out life together can purchase one can at a time, either soup size or #10. They need to evaluate what they like to eat on a daily basis, then put together a plan to purchase and store those items for use when needed. Family budgets come in all shapes and sizes, but we all need to eat every day, so start with some case goods and grow it from there. First plan on a week’s storage, then try to work up to 30 days and more, as space and funds allow.You can purchase a 55 gallon water storage tank that can fit on a patio, deck, garage, etc., so you can start with that as you plan for water needs. They are fairly cheap at places like Walmart. 3. Storage space is hard to come by in apartments – what food storage items would you recommend for apartment preppers? It’s amazing what can be stored under beds. Some preppers will get creative and make end tables, coffee tables and other furniture pieces by stacking cans or cases. Seems like most couples have book shelves that could be used to store some items, being aware of the safety concerns of things tipping over of course. You can store a fair amount of freeze dried foods in a limited space. They can prove to be a little pricey, but again, one can at a time. Freeze dried items can include fruit, vegetables, meat and other healthy items. Milk can be stored as “instant” for a quick meal prep staple. 4. Most preppers would prefer to stay in place in the their home base. What are some signs that it is time to bug out? I think the key for the bugging out decision is family health and safety. If the building itself has become unsafe for any reason, get out. If there are shelters available and you’ve run out of food and water, take advantage. If you have reliable transportation and family and friends invite you and yours to a safer environment you might just take them up on it for a temporary solution. Of course, if you haven’t followed suggested storage and preparedness tips you may need to bug out sooner than you’d like. 5. Please tell us about your background. As outlined in the book, I learned at a young age the need and value of being self-sufficient. My husband and I have been involved with food storage for nearly 50 years of marriage. We’ve taught our kids, and now our grandkids, the peace and confidence that comes from having food and water stored, first aid kits in the closet, bug out bags full and ready for use, a yard geared up for food production, multiple ways to cook food and heat the house. I’ve taught my girls to sew and the neighborhood to cook from scratch, particularly homemade bread. Hardly a day goes by that someone doesn’t call or email asking for advice and “how to” suggestions. I’ve taught classes at food storage and kitchen supply stores. I’ve provided written materials for individuals and businesses even before I got involved with the book. I’ve cooked, tested and put into practice all the food and emergency preparedness items evaluated on my blog. As they say, “been there done that,” with more to come. What aspect of emergency preparedness are you deficient in? What steps are you taking to be prepared? The winner* will be chosen at a random “Pick a Giveaway Winner” drawing on Friday, February 19th at 8 pm Central. *Winner will be notified via email. Winner must reply to email notification within 48 hours or another winner will be drawn. I’m deficient in food storage. My husband isn’t really on board with prepping, so I can’t buy any of the more expensive survival foods. I’m doing pretty well with tools for my different kits, but I really need tips for food. Keep trying. There are subtle ways to bring him on board. My wife wasn’t originally keen on the idea either. The trick I used was watching a lot of news and when I they showed stories of bad weather in other parts of the country or disasters around the world, I would wonder out loud what we would do if that happened to us. Before I knew it, she was bringing home books on preparedness and checking dates on food in the grocery store to see how long it was good for. Water storage is my issue, I live in a neighborhood with aging infrastructure in a hurricane prone area. The apartment lacks a balcony or patio so no room for a 55 gallon tank isn’t an option. We have smaller containers in closets and under the table. We’re saving for the Big Berkey filter since many preppers recommend it. One of the steps of being prepared is being organized. I will keep something and months later husband will ask why I kept the item and by then I can’t remember why. We’re decluttering the apartment and organizing our projects, with the extra room we’ll have space for water and additional food. I see lots of spreadsheets in my future. We have the 72-hour to 1 week preps down pretty good but we’re severely deficient with longer term preparedness. To remedy this situation, we’re in the process of cleaning out a small garage to make room for larger water storage capacity and installing some shelves to store more food. We’re deficient in water storage. We have some water stored and a water bob for emergency storage, but I’d feel better with a large water tank.